White piqué cotton double breasted waistcoat with peak lapel 6 mother of pearls buttons on the front, 2 double welt pock... White piqué cotton double breasted waistcoat with peak lapel 6 mother of pearls buttons on the front, 2 double welt pockets and lining with elastic band to adjust width. 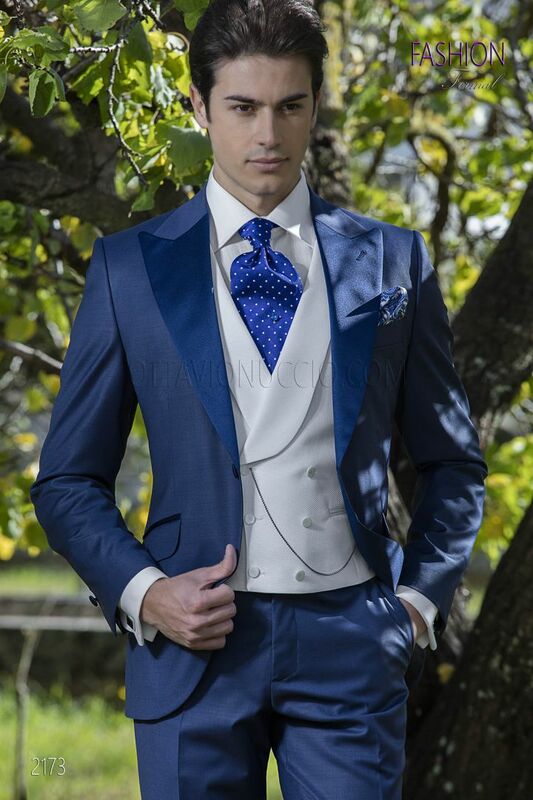 Cravat made from 100% blue and white polka dotted silk. Handmade.